With an MSA population of only 255,000, Bryan-College Station, also considered part of the Brazos Valley region, is one of the most literary regions in the state on a per capita basis. Leading off its visitable literary attractions is the George H.W. 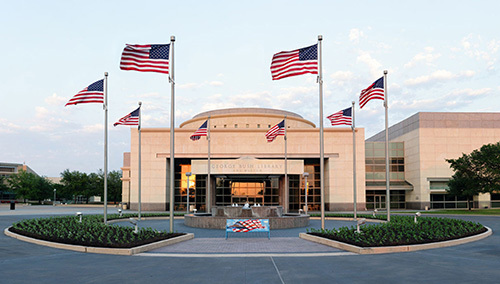 Bush Presidential Library, 1000 George Bush Dr. W, College Station. You can easily spend hours there learning about the 41st president — including his military service, Ivy League baseball career, time in office, and skydiving pursuits. The “41” library hosts a number of events with authors and thought leaders throughout the year. Texas A&M University, also located in College Station, has grown to a population of 68,603 on 5,500 acres and has the largest university enrollment in Texas and the second largest in the United States. Graduates of A&M have become bestselling authors in every category of publishing from beloved children’s author Kathi Appelt to Texas poet laureate Karla K. Morton to Christian novelist Kathleen Y’Barbo and to former A&M president and secretary of defense in two presidential administrations Robert Gates. Built in 1930, the university’s Cushing Memorial Library and Archives, 400 Spence St., serves as Texas A&M University’s repository for rare books, special collections, manuscripts and archives and is free and open to the public. 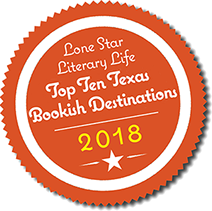 Collections of interest include Texas A&M history, military history, western Americana, Texana, 18th-century French history, Mexican colonial history, Africana studies, Science Fiction, literature and the history of books and printing to name a few. Founded in 1974, Texas A&M University Press is the principal publishing arm of the university. The Press’s editorial focus includes Texas, Western, Southern, military, environmental, ethnic, women’s, and political history; borderlands studies; natural science and history; agriculture; anthropology; nautical archaeology; consumer health; and Texas arts and culture. Many of these fields of interest reflect departmental and programmatic strengths at Texas A&M University. The Brazos Valley is the smallest region in the state to host a chapter of the Society of Children Book Writers and Illustrators (SCBWI). There are only five chapters in the state and aspiring children’s book authors and illustrators have an opportunity to meet, network, and hear from experts in their pursuit of this craft. Other chapters are in Houston, Dallas, Austin and San Antonio. The Bryan-College Station library system may have one of the most delicious literary events in the state. Every April they host the Edible Books Festival, during which bibliophiles, book artists and food lovers alike gather to celebrate the art of books through food. Participants create an “edible book”, which is a culinary interpretation of any book, character, literary pun, or plot, and all creations must be made of “edible” materials. An expert panel judges the entries. If you need a libation after visiting the libraries or a brewski with your books, College Station has some notable options — in fact, you can even do your laundry at one of them. Harvey Washbangers, 1802 Texas Ave. S., offers craft beers, handmade burgers and a state-of-the-art laundromat. If you prefer vino instead of suds (either kind), Bryan and the Messina Hof Winery and Resort, 4545 Old Reliance Road, are only five miles and ten minutes away. The Tasting Room is the original building on the estate and used to be the Ursuline Academy, an all-girls school. Many original elements from the academy were preserved when constructing the Tasting Room guests enjoy today. 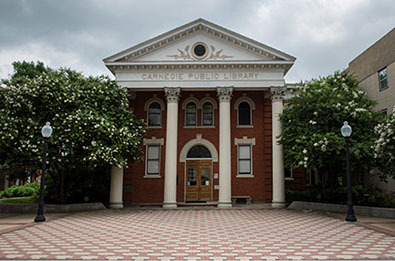 For even more history, the Carnegie History Center (left), 111 S. Main, in downtown Bryan is housed in the largest and oldest Carnegie library in continuous operation in Texas, first opening in 1903. On the first floor you’ll find Harvey Mitchell's verneir compass and sketch for the original site of the City of Bryan and collections of city directories and telephone books, rare adult and children's books. The second floor is dedicated to genealogical research, with materials emphasizing ethnicity and areas from which many immigrants came to this area. 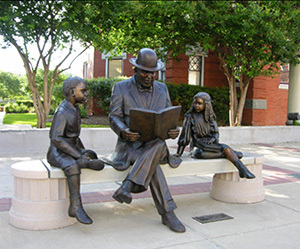 A sculpture depicting Andrew Carnegie reading Treasure Island to two children (below. 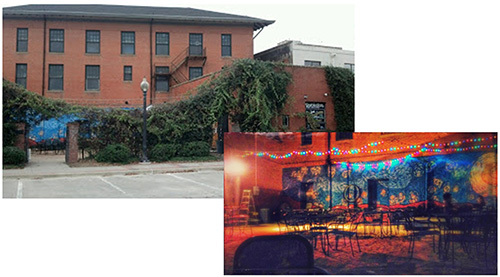 right), titled “Treasured Moment,” was placed in 2007 at 111 S. Main St. in downtown Bryan. The city of Bryan, the Arts Council of Brazos Valley, and Friends of the Bryan-College Station Public Library System underwrote for the sculpture. A Texas Cultural District, downtown Bryan is undergoing an artistic renaissance. In downtown Bryan, you’ll find Mic Check Poetry, a free arts and culture event held every Sunday at 8:30 pm at The Revolution Cafe and Bar, 211 B. S. Main St., in the Carnegie History Center alley. Mic Check hosts a variety of events including open mic poetry readings, poetry slams, and features poets from all over the world. In October, they also host the three-day Texas Slam Poetry Festival. 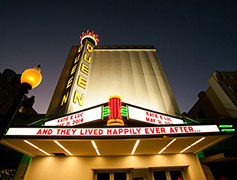 Nearby, the Queen movie theater sits on a lot originally owned by Stephen F. Austin’s nephew. With brand new lighting and major interior and exterior infrastructure completed, the 1914 landmark is in the final stages of being renovated by the Downtown Bryan Association and is slated to reopen in May 2018. Also found in the cultural district are the Palace and Grand Stafford Theaters, which are frequent hosts of talks, poetry slams, and other events throughout the year. Every month the SEAD Gallery, located in the Federal Building in Historic Downtown Bryan, hosts an author reading series. located in the Federal Building in Historic Downtown Bryan. Built in 1915, the Federal Building was once the community post office and later housed the IRS and FBI. Today the Federal Building is home to the Innovation Underground and SEAD Gallery – community and economic development projects by Advent GX. Founded in 2004 as a spin-out from Texas A&M University, Advent GX is a tourism and economic development solutions provider with practices in economic analysis, technology & entrepreneurship, tourism development, and marketing & creative services. Advent GX uses innovation and entrepreneurship to support cultural and heritage development in small and underserved communities. When you’re ready to settle in with a good book in Bryan, an intriguing option might be the new boutique hotel, The Stella, whose slogan is “An Inspired Retreat For Stargazing, Storytelling and Stellar Views.” The Stella anchors the new Lake Walk planned development adjacent to the ATLAS Texas A&M biocorridor which includes a new health facility from Texas A&M Medical and CHI Hospital Group called MatureWell for 55+ patients. The Stella and the Lake Walk development is in southwest College Station, away from the hustle and bustle, and the grounds have a variety of extras that make this property appealing — bocce court, firepit, free bicycles to use, viewing tower and lake trail and emphasizes farm to fork at its restaurant. The development also has 100,000 square feet of coffee shops, cafes and stores. 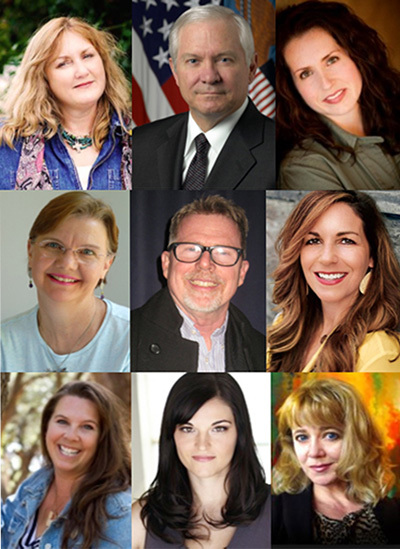 Authors who attended Texas A&M or who have Texas A&M ties include Kathi Appelt, Sophie Jordan, Steven Gould, Melanie Shankle, Amy Tintera, Texas poet laureate Karla K. Morton, Robert Gates, and Pamela Fagin Hutchins.